Duncraig Primary School (in WA) has sent us some year 5 students’ book reviews. * We’ll be posting two reviews a day for the next 5 days so stay tuned! Go Girl! Angels: Lucky Stars, by Chrissie Perry. ISBN: 1921288299, Hardie Grant Egmont. Reviewed by Krista, age 10, Duncraig Primary. This book is part of a stimulating series—‘Go Girl! Angels.’ The angels are a group of six girls and they each have a goal to complete. Have you ever wanted your name engraved on a glistening, silver plaque? That is what the angels will receive; all of their names will be engraved—Lucy, Sophie, Annabelle, Bonnie, Lola and Chloe. The main character of this book is Lucy, a born leader who will help organise this next team terrific challenge; a series of events in which the angels compete against different teams. Lucy’s older sister, Frankie, is traveling to Spain for a year. She wants to help the angels practise their performance. The agels admire Frankie and wish to be more like her but Lucy thinks Frankie is just getting in the way when she is trying to help. Everybody in the angels is good at dancing, except two who are clumsy. Lucy wants to help them out, without huting their feelings. Will Lucy be able to make them better dancers, or will they ruin the performance? At the performance a huge catastrophe occurs and Lucy is at fault. Will anyone be able to solve it? This tale will leave you leaning off the edge of your seat thinking of what will happen next. As you read this story you will feel like you are in another world in Lucy’s shoes and dancing your troubles away. This story is perfect for you if you like reading books about friends cooperating, and helping each other out. This incredible narrative introduces problems, friendship and comes with a moral. My favourite part of this book is when Lucy does a nice gesture. This book includes loyal friends, helpful sisters, a boy band who call themselves The Devils and a bond between six girls which can never be broken. Lucky Stars is suitable for people 8 years and above. There are 89 moving pages to read. 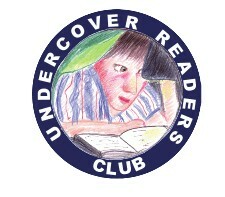 *Duncraig Primary is a member of our Undercover Readers Club. Books reviewed here are the students’ own. What a great review! Loved it. So glad you liked the Angels.